Roundup is a nasty product. Our recent Newsletter regarding glyphosate being classified as carcinogenic produced great response. It's important to understand that glyphosate kills gut flora in animals and people and that leads to many diseases. Almost all of the corn, soy, canola, sugar beets and other plants in the United States and Canada are GMO Genetically Modified Organisms. These plants are regularly sprayed with Roundup. 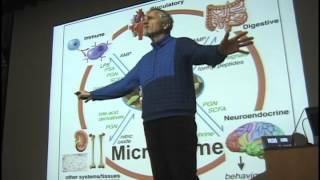 As I promised on my radio show Sunday, here is a excellent video Dr. Thierry Vrain that explains in detail how Roundup and GMO foods hurt you and all life. Here's the link to our previous newsletter if you missed it. Glyphosate Is Anything But Safe. And here is an article including almost 40 links to research on the dangers of Roundup: Roundup. Enough to Make You Sick. Monsanto, Scotts Miracle-Gro and other large toxic chemical companies spend hundreds of millions of dollars every year to influence the retail distribution networks, landscape contractors, University research and municipal Park & Recreation Departments. We need your support to change these big institutions and make our neighborhoods healthier. Please donate $5.00 or more today to the Texas Organic Research Center (TORC) so we can distribute the research and hold seminars to inform and change the use of Roundup by contractors and our public park departments. TORC is a 501(c)(3) non-profit organization. Your contribution is fully tax deductible to the extent provided by law. Please make a donation to TORC today: online ("Buy a Donation") or by US Postal Mail.